If you have any questions or want to enquire about dates, use our form to contact Diane Noel or see their website for more information. An unassuming barn conversion up a steep drive, this self-catering treat combines traditional architecture with fresh homely furnishings and underfloor heating. A 2.5-acre garden of fruit orchards and olives with long vistas to ancient hill-topped Tuscan towns ensures birdsong and herb-tinted peace and tranquillity. Bedrooms are understated, simple and comfortable with plenty of wood and natural colours. You’ll find a cupboard full of goodies, a big sitting room made snug by an open fire in winter, and French windows that keep it breezy in summer. 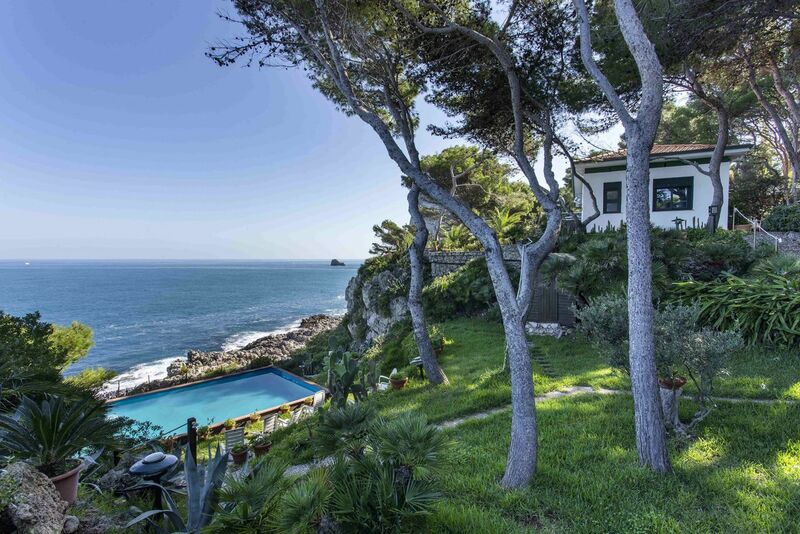 Behind the house is a rose-rambled terraced dining area and a wisteria-covered pergola; down some steps through the olive trees to the field below lies a lovely large saltwater infinity pool, a secluded sun trap for relaxing with far-reaching views. There’s loads to do in the area, from truffle snuffling, fishing and riding to meandering through the alley’d mazes and markets of nearby medieval towns Città di Castello, Sansepolcro and Anghiari. A well-converted, well-furnished space with beautiful gardens. 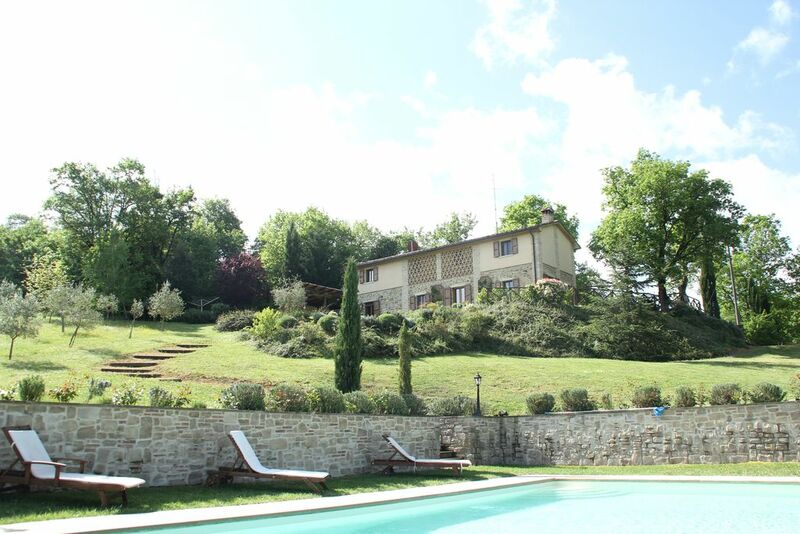 A beautiful and relaxing property set amidst the rolling hills of Tuscany. Whether you choose to spend days relaxing by the crystal cool pool with a good book or head out to explore the many local attractions you'll love every minute of your stay. An evening or three 'out on the town' is a must - you'll leave this relaxing and timeless region of Italy with a belly full of pasta and truffles and a head spinning with the endless beauty of your surroundings. This is without doubt one of the most stunning settings for a house, and the perfect place to relax and unwind. The kitchen is extremely well equipped which meant we managed countless beautiful meals sitting out and looking at the views. The pool was kept immaculately and was a perfect temperature for a refreshing dip in the heat of afternoon. A trip to the nearby village of Monterchi is a must, we loved the market! I would advise making it up for a sunrise, as the views from the bedroom window of the mist sitting in the valley are breathtaking. We hope to return (for longer) soon! Wow, I am still dreaming of this holiday. I couldn't think of a more idyllic place to stay. Waking up in the morning to the mist rolling off the mountains in the distance and down into the Tuscan Valley below. Leisurely dips in this beautiful and fantastic sized pool, the perfect temperature to take the heat out of the midday sun. Aperol spritz on the terrace with the most beautiful views across to Monterchi, happy cooks prepping outside with that view. Feasts of fresh truffle pasta, burrata and salads under the vines. Beautiful night's sleep with en suite. An artist's paradise. We've stayed in Tuscany many times, but this house has by far the best view of any we've rented. Pool is great, kitchen and dining area very spacious. Bedrooms were comfortable and very clean. Renovation clearly recent, everything worked without issue (dishwasher, hot water, internet). Restaurants in nearby towns are excellent and very reasonably priced. This is a perfect place to base yourself for a holiday in Tuscany in all seasons. It is well placed for walks, meals out and trips to nearby towns. Equally it is a relaxing place in which to stay and enjoy the magnificent views and pool. The layout of the house lends itself to a small or large group in comfort . It's well set up with everything you need on hand. If you like a home from home, this is defiantly for you and you will leave, like us, wanting to return. We have just returned from another wonderful week at this beautiful spot. The house is exceptionally comfortable and well equipped, but above all it is the tranquility and peace that make this house such a haven. You can't help but be restored and relaxed after a stay here. We have visited many times now and it never loses it's appeal. It is a very special place. I enjoyed a very relaxing two week stay at il palazzetto. The house was had been sympathetically refurbished, and was left immaculately clean, well equipped, and stocked with essentials for the start of our stay. Monerchi is a short drive or pleasant walk away, and has a few good restaurants, wine bar and pretty churches, and the surrounding towns / villages are also worth a visit, otherwise just sit back and enjoy the views / terraces and infinity pool. Fantastic stay, thank you. 10/10. One of the most stunning views I've ever seen from the garden. Stunning scenery, great pool area and beautiful outdoor dining table. Kitchen is very well-laid out and bedrooms spacious and clean. We are looking forward to going back! Thank you for a fantastic week. The house is lovely and has the most amazing position with views over the superb Tuscan countryside. It is well equipped, clean and just like a home away from home. Great for all ages. Would definitely revisit. This is a lovely house with stunning views. We stayed for 3 weeks with a full house the whole time with various family members and it worked really well. Plenty of space, lovely pool, well provided with all facilities and equipment for a large party. We would return. Such a beautiful home set in stunning countryside. Isolated but close enough to everything you need. The children loved the pool and spent most of the day splashing around. Would definitely recommend and would go back ourselves. wonderful views, such a peaceful place and yet walking distance to Monterchi with its charming shops and restaurants. We go back each year, this is our 5th year. We have been to many local events, from the Chocolate Festival in Perugia, to Da Vinci cartoons in Florence, all within a days drive. Children love the pool and the freedom, I love the beauty and the peace. Highly recommended. We have a BBQ in the outdoor area. We offer guests a well-stocked library of guide books and walking maps. Nearby there are many new restaurants with increasingly sophisticated menus and a large local golf club.